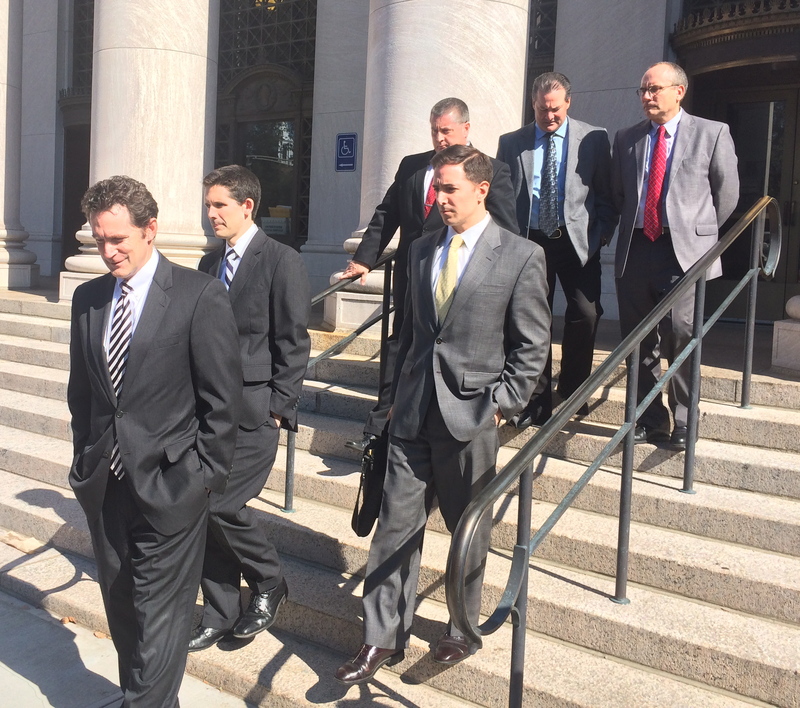 Michael J. Gustafon, trailed by Liam Brennan, Christopher Mattei and investigators after the conviction of former Gov. John G. Rowland. Deirdre Daly, the first woman nominated by a president to serve as U.S. attorney for Connecticut, was among the 46 prosecutors whose resignations were demanded Friday as the Trump administration abruptly ordered the removal of remaining holdover appointees of the Obama administration. 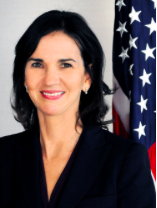 Michael J. Gustafson, a career prosecutor who was her top assistant, automatically became the acting U.S. attorney as Daly immediately tendered her resignation. “The people of Connecticut will be in excellent hands with Acting U.S. Attorney Mike Gustafson, and the more than 100 career employees of the office who dedicate themselves to always doing what is right and just,” Daly said in a statement. Daly was a federal prosecutor in the Southern District of New York for 12 years before entering private practice. She returned to federal service in 2010 as the top assistant to U.S. Attorney David Fein in Connecticut.She was acting U.S. attorney after Fein’s resignation, then was nominated by President Obama to succeed him in 2014. Among the high-profile cases during her tenure was the prosecution of former Gov. John G. Rowland in September 2014 on charges arising from what the government described as a scheme to solicit two congressional campaigns in 2010 and 2012 to secretly pay him as a political consultant in violation of U.S. campaign finance laws. Daly promoted Gustafson from head of the criminal division to the first assistant a month later. She created a public corruption task force in 2015. An investigation by her office into whether Connecticut Democrats illegally raised money from state contractors in support of the re-election of Gov. Dannel P. Malloy in 2014 ended last month without criminal charges. Gustafson has been a federal prosecutor since 1997. He served as a law clerk to Senior U.S. District Judge T. Emmet Clarie and U.S. Magistrate Judge F. Owen Eagan.